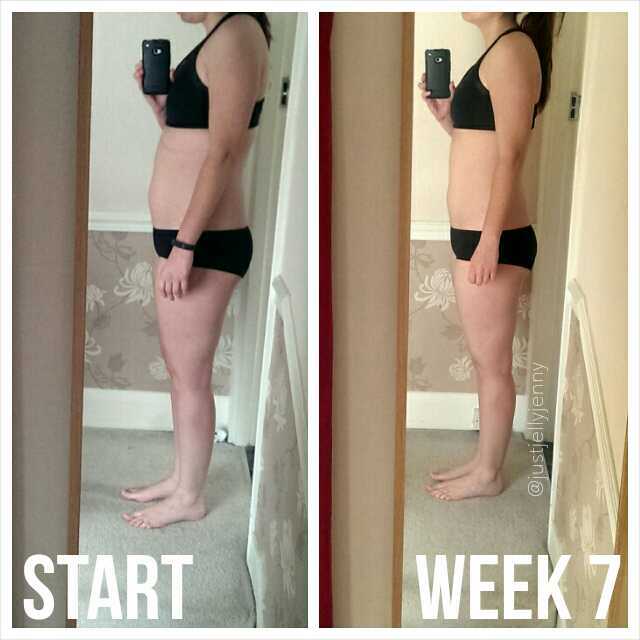 I knew before even starting week 7 that it would be tough! 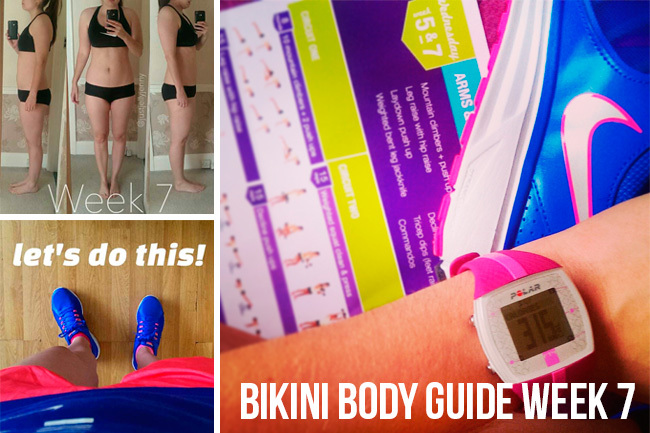 Kayla's Bikini Body Guide never fails to prove a challenge. 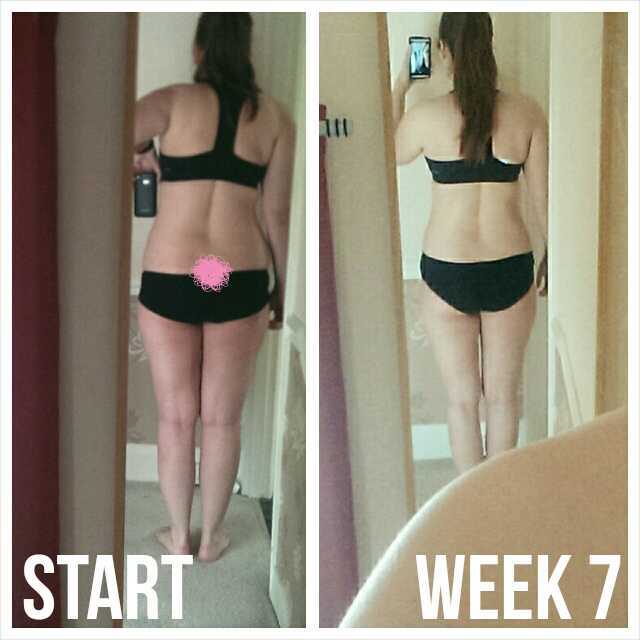 I felt that my week 6 progress wasn't very good so knew I wanted to really push myself this week, plus the boyfriends parents were away so we were on dog walking duty everyday! Lots of LISS walks! As I was massively aching from the previous days leg workout I decided to do Wednesdays Arms & abs workout on Monday to give my poor legs a rest! As long as you complete the recommended workouts within a week I don't think it matters what day or what order they are in, just bear in mind not to work exactly the same muscle groups after each other. Burnt 315 calories in this workout, which for abs and arms without any cardio is pretty good. LISS was also a dog walk in the rain burning 233 calories! LISS cardio in a 43 min dog walk burning 377 calories. Another LISS workout as a dog walk, forgot my heart rate monitor so no calorie burn but I still worked up a sweat. I really pushed it on legs and cardio, I did nearly two rounds of each circuit in the 7 minutes and lunged deeper than I had lunged before! Safe to say I may have pushed it a bit too far...I have one weaker knee and for days after this it was aching and felt weak. So next leg workout I know where my limit is. Burnt a whooping 558 calories in just over half an hour, pretty impressive if you ask me! Fridays workout was a super late dog walk in the dark! Could hardly see anything, luckily we had a torch. A 34 minute walk burnt 294 calories. Sunday was a LISS workout day so we had a walk in the country park, burning 333 calories. 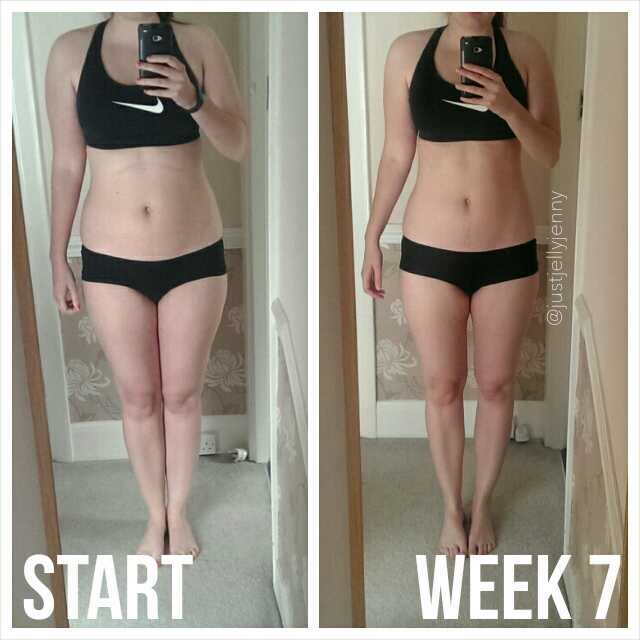 I'm pleased with this weeks progress, last week I didn't think it had changed much but my body feels a bit tighter and toned. I'm not sure why I look tanned in this weeks pic, I'm not, must have just been different light. I also remembered I hadn't done any progress pictures from behind and my gosh I was surprised! (please excuse the pink scribble, didn't think the world needed to see my bum crack haha)!